There are many definitions of Corporate Social Responsibility (CSR). The MVO Platform has developed its own definition in order to clarify how the MVO Platform perceives a company’s corporate social responsibility. CSR is a results-driven process whereby a company assumes responsibility across all its business operations for the social, ecological and economic consequences of its activities. A company is accountable and transparent towards its stakeholders when it comes to behaving in a socially responsible manner. The MVO Platform also uses the concept “corporate accountability”. While CSR describes the responsibility of companies, Corporate Accountability emphasises the role all stakeholders play in holding companies to account, including governments. 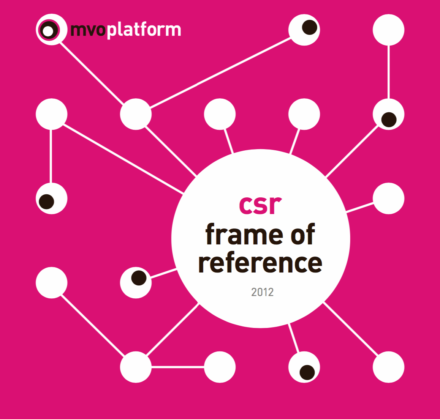 The CSR Frame of Reference is available in Dutch, English, Spanish and Chinese.